Whether that means setting up a camera to record live painting, or capturing your screen while creating your digital masterpiece -- Warner Bros. Pictures is looking for videos to be featured on their social channels and possibly theater partnerships around the world! She's back! Annabelle Comes Home is the third installment of New Line Cinema’s hugely successful Annabelle films starring the infamous sinister doll from the Conjuring universe. Determined to keep Annabelle from wreaking more havoc, demonologists Ed and Lorraine Warren bring the possessed doll to the locked artifacts room in their home, placing her “safely” behind sacred glass and enlisting a priest’s holy blessing. But an unholy night of horror awaits as Annabelle awakens the evil spirits in the room, who all set their sights on a new target—the Warrens’ ten-year-old daughter, Judy, and her friends. To amplify the launch of the film, Warner Bros. Pictures is creating a first-ever poster/time lapse art activation leading up to this film’s release, and they want to collaborate with you! Artists, designers, and illustrators from around the world are invited to create one-of-a-kind static artwork for Annabelle Comes Home inspired by the latest imagery and trailer from the film. Artists are also encouraged to record and submit time lapse videos of their work being made so fans can watch the art as Annabelle comes to life! Annabelle Comes Home is the third installment of New Line Cinema’s hugely successful Annabelle films starring the infamous sinister doll from the Conjuring universe. Gary Dauberman, the screenwriter of the Annabelle films, IT and The Nun, makes his directorial debut on the film, which is produced by Peter Safran (Aquaman), who has produced all the films in the Conjuring franchise, and Conjuring universe creator James Wan (Aquaman). The film stars McKenna Grace (TV’s The Haunting of Hill House, Gifted, Captain Marvel) as Judy; Madison Iseman (Jumanji: Welcome to the Jungle, Goosebumps 2: Haunted Halloween) as her babysitter, Mary Ellen; and Katie Sarife (TV’s Youth and Consequences and Supernatural) as troubled friend Daniela; with Patrick Wilson (Aquaman, The Conjuring and Insidious films) and Vera Farmiga (The Conjuring films, upcoming Godzilla: King of the Monsters, TV’s Bates Motel) reprising their roles as Ed and Lorraine Warren. This opportunity is open globally (except for Brazil and for countries in which the United States has embargoed goods (including without limitation, Crimea, Cuba, Iran, North Korea, Sudan and Syria)) to those who are at least 18 years of age and the age of majority at the time of entry. Void where prohibited by law. Please note, that during the Submission Period, submissions may be featured on Annabelle Comes Home’s social media channels with credit given to the artist. Artists should retain their original files but static artwork must be submitted in JPEG, PNG, max size 10MB. Time-lapse videos can be uploaded as GIF or to the Talenthouse player as MP4. All submissions must be original artwork (meaning not using third party pre-existing copyright and/or stock materials). Please no photography.  Artists may depict the likenesses of the characters in Annabelle Comes Home and may include the Annabelle Comes Home title treatment logo in their artwork. All rights in and to the characters and title treatment logo are reserved by Warner Bros. Pictures. All entrants, whether Selected Artists or not, hereby acknowledge and agree that Annabelle Comes Home intellectual property, and all intellectual property rights embodied therein, and all derivative rights thereof including the embodiment of Annabelle Comes Home (collectively, “Annabelle Comes Home IP”) is the sole and exclusive property of Warner Bros. Pictures, and all entrants, whether Selected Artists, or not shall not obtain any right or interest of any kind whatsoever in Annabelle Comes Home IP. Selected Artists (defined in Official Rules) grant Warner Bros. Pictures and their licensees and assigns, a worldwide, exclusive, royalty-free, perpetual license to use their submitted work in connection with the promotion and distribution of Annabelle Comes Home in all media, now known or hereafter devised. Selected Artists will be required to sign a license agreement. All artists, whether Selected Artists or not, retain ownership only in the original portions of in their work that do not contain or are not derivative of Annabelle Comes Home IP excluding artists who have signed a license agreement. However, by submitting you hereby grant to Warner Bros. Pictures, its licensees and assigns, a worldwide, non-exclusive, royalty-free license for three years to use your submitted work across their various online and social marketing platforms in association with the film Annabelle Comes Home. All artists will be credited accordingly. Any ownership in the work is subject to and restricted by Warner Bros. Pictures’ underlying rights in the Annabelle Comes Home IP and entrants may make only personal use (e.g. portfolio purposes) of the submissions without express written consent from Warner Bros. Pictures; in no event, may an entrant obtain a fee, royalty, advertising revenue, or any other payment in exchange for the submission, other than those Selected Artists who receive an incentive from Sponsor. Artists will be selected from among all eligible submissions received on the basis of: substance; creativity; and originality, each of which will be given equal weight.